We invite Land Rover owners from all over to join the 2nd Namibia Land Rover Festival in Uis, Namibia, 24-27 August 2018. Each Land Rover owner is required to pay a Vehicle Entrance Fee of N$ 200. After payment is made an online registration form will be sent. Please fill in the form in order to complete your entry. Individuals who own more than one Land Rover are not required to pay an additional Vehicle Entrance Fee. The fee should be paid per owner and not per vehicle. Click the ENTRANCE FEES button below to enter your Land Rover/s. Non Land Rover owners are welcome to join the event as spectators at an entry fee of N$ 50 per person. Click the ENTRANCE FEES button below to buy an entry ticket. Persons 17 years and below enter for free. LUCKY DRAW - The moment you enter, you stand a chance of being a winner in the lucky draws. Winners will be announced on the Namibia Land Rover Owner’s Facebook page. COMPETITIONS - Enter one of the weekend competitions at a minimal fee of N$20.00. Click the button below for more info and to buy your entry tickets. ACCOMMODATION - Accommodation is to be booked well in advance. Click the button below for more info. Land Rover Owners Namibia formed during 2015 and is a family of likeminded people that enjoy nature, support conservation efforts and love the Land Rover product. We are affiliated to the world body Association for Land Rover Owner Clubs International. To bring together Land Rover Owners and see how many Land Rover vehicles we can get together over the intended period. To enjoy the outdoors and explore the Land Rover terrain that a place like Uis has to offer in the form of 4x4 driving and other competitions. To bring tribute to the Land Rover for giving us 70 years of great fun! Surplus proceeds of the Festival will be for the benefit of Desert Lion and Elephant Projects in Namibia. The main meeting & gathering place will be at the Brandberg Rest Camp; Uis S21 13.108 E14 52.057 However, all visitors are requested to make use of all the other B&B’s and Camping spots in/around Uis as well. There will be plenty of ‘cold ones’ and tender Namibian meat to buy. Orpheus…this is not the Greek legendary poet/musician, although you would be charmed by their great food variety. Absolutely tastefully prepared. Enjoy home-made pies, quality sausage, succulent lamb, Fromage frais balls, biltong, chillie bites, droëwors, drinking yogurt, and lots more yummy stuff!! Friday, Saturday and Sunday Evening at the Beer tent, dinner can be bought for a very reasonable price. Braai packs (for own Barbeque) also available from Orpheus. Land Rover Memorabilia & 4x4 Accessories: Visit the stands for interesting selections of Land Rover items for sale, eg. 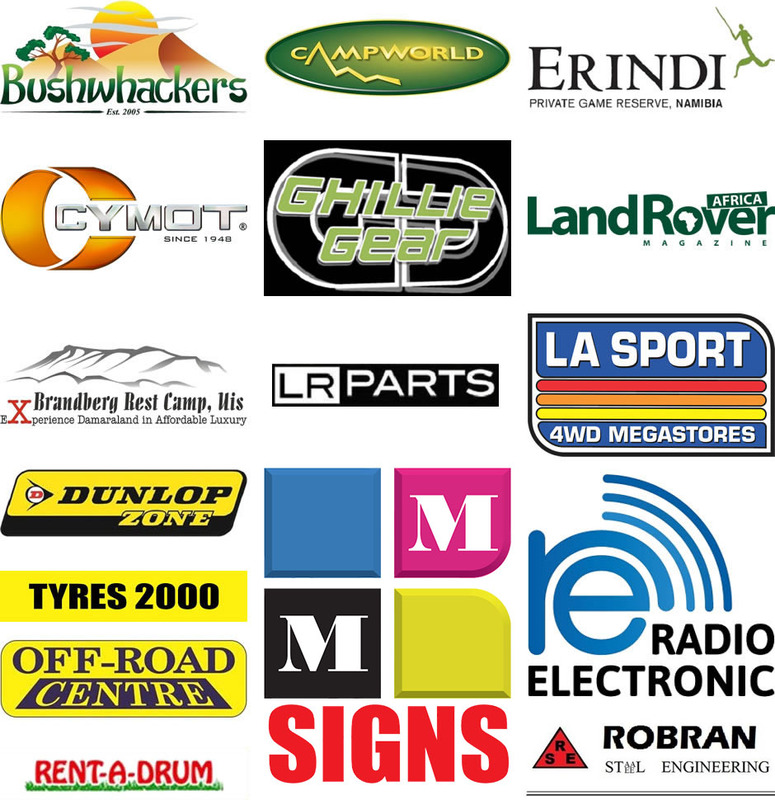 Caps, T-Shirts, Land Rover crafts, camping gear and 4x4 accessories for your Landy. Our programme is still in final stages, we may add some events or change times on it. 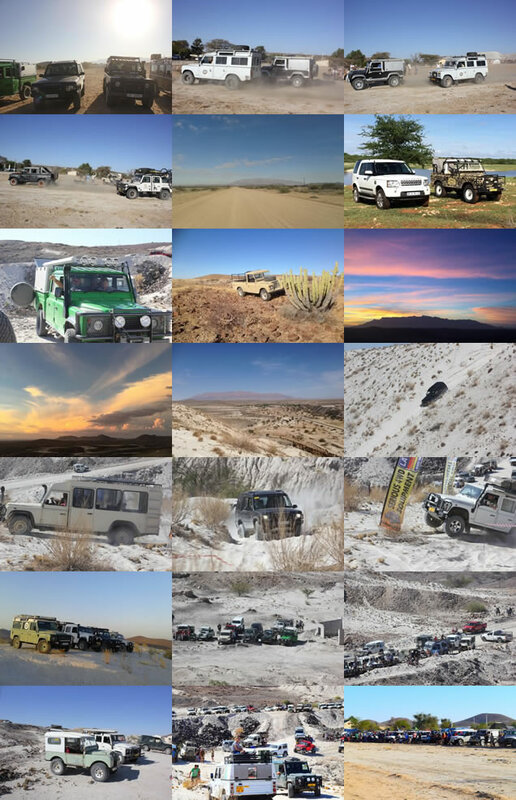 Follow Land Rover Owners Namibia face book page for updates on the Festival. Uis has a supermarket, and a petrol station, together with a few other small shops, however food (braai packs as well) and drinks will be plenty at the Event!! Namibia Land Rover Festival is to be given as Reference upon bookings to receive discounted rates.